The Update has a new approach, with photos and links to explore deeper content depending upon your interests. Let me know what you think. You’ll note we’ve continued making tremendous progress toward our 2015–2020 strategic plan goals. School of Pharmacy faculty members listening to PharmD curriculum change proposals. I reported in the New PharmD Curriculum section of my last Update that we’d completed the conceptual phase of the changing doctor of pharmacy (PharmD) curriculum and had moved on to the design phase. The design phase, too, is now complete. This spring, the faculty endorsed a block approach to coursework. I join Vice Dean Sharon Youmans, PharmD, MPH, who directs our education and diversity initiatives, in thanking our curriculum project teams for creating a strong framework. Like the current four-year program, the proposed new curriculum would be delivered over 12 quarters, but with shorter summer breaks. The result? We’re now building curriculum details while we investigate potential challenges that might impact successful implementation—from teaching space to financial readiness. We’re also piloting parts of the new curriculum with an expected full launch date of 2018. Again, we aim to prepare pharmacists as nimble, critical thinkers and problem solvers who pursue additional specialized training. This could be a residency, a PhD, an MEd or MS, or another degree that will position our graduates to step into new leadership roles in clinical research, the pharmaceutical industry, regulatory affairs, business, academia, law, and global health. The Troy C. Daniels Curricular Innovation Awards, announced last year, supported nine pilot research projects to test new approaches to teaching, learning, and assessment in the PharmD program. As examples, one project seeks to make all our student pharmacists more competitive for postdoctoral training, while another project will introduce students to what it takes to start a business—helping them move ideas forward systematically or even launch companies. Image credits: Frank Farm for faculty members, Cindy Chew for Class of 2016. As we transform our PharmD curriculum, we continue our partnership with UC Health in the pharmacy residency program. In 2015–2016, 20 first-year general practice and second-year specialty residents completed UCSF’s interdisciplinary Training in Clinical Research program to gain the skills they need to lead quality clinical studies. The School–UCSF Health enterprise has been impressed with the quality of resident projects. Consequently, I will continue to fund the program again this year, while my colleagues in the UCSF Health Department of Pharmaceutical Services will once again support the statistical analyses. I owe you a briefing on our pilot program linking UC Berkeley Haas School of Business MBAs with UCSF scientists who have founded—or are in the process of creating—life sciences startup companies. The six initial teams finished their collaborations. The pilot was a success, and we’re now refining the collaboration and mapping next steps. This includes pursuing funding from the National Science Foundation for program expansion. By the next Update, Haas Dean Rich Lyons, PhD, and I will have a solid plan to share. New legislation means new possibilities for wider and more advanced patient care responsibilities for pharmacists. Regulations for furnishing nicotine replacement therapy and hormonal contraception became effective. Regulations for furnishing travel medications and for the Advanced Practice Pharmacist are yet to be finalized. While not part of SB 493, the furnishing by pharmacists of naloxone is live. Faculty members in our Department of Clinical Pharmacy are partnering with the California Pharmacists Association to develop online training for furnishing naloxone as well as for nicotine replacement therapy. Along with many School colleagues, alumni, and Benet family members, I was pleased to join Les Benet in Baltimore this March as he received the Remington Honor Medal. In addition to his contributions to research and leadership, in his years as a School faculty member since 1969 Benet has mentored 54 PhD students and 122 postdoctoral and visiting scientists in his lab. 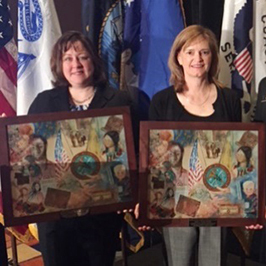 This marks the sixth time that a School alumnus and/or faculty member has received the Remington. The list of recent faculty honors and awards is impressive once again. Given to a mid-career faculty member for an innovative research project. The recipient is asked to present their research at the annual Byers Award Lecture. Image credits: © Majed for Benet, Craik; Stephan Babuljak for Abate; Elisabeth Fall for Wells; Susan Merrell for Kroon. School of Pharmacy researchers use increasingly sophisticated computational tools to manage and interpret vast and growing amounts of scientific data. They also develop these tools and share them with the scientific community worldwide. Peer-reviewed publications by our faculty members often identify key gaps in the knowledge needed to improve both public policy and point-of-care clinical treatment. For example, two researchers in the Department of Clinical Pharmacy recently evaluated evidence related to genetic testing. 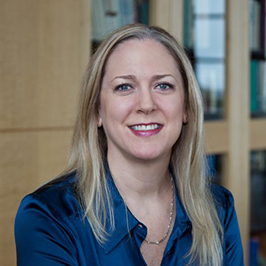 Kathryn Phillips, PhD, senior-authored an analysis of the evidence for the cost-effectiveness of screening patients for dozens of disease-related gene mutations. Kathryn and her colleagues found large gaps exist in that evidence. Jaekyu Shin, PharmD, senior-authored a study that evaluated the pharmacogenomic information provided by popular drug information resources—including guidelines that assist clinicians in interpreting genetic tests in order to optimize drug therapy. Jaekyu and his co-authors concluded none of the four major resources was sufficiently complete. Filling knowledge gaps can also mean improving our basic understanding of disease processes and treatment responses. By way of example, Steven Altschuler, PhD, and Lani Wu, PhD, Department of Pharmaceutical Chemistry, recently co-senior-authored a study showing that cancer cells that survive initial treatment by entering a slow-growth “persister” state can later re-emerge displaying diverse modes of drug resistance. 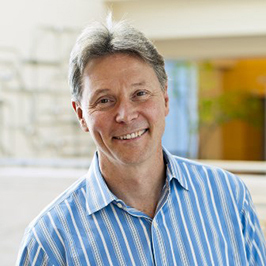 Andrej Sali, PhD, Department of Bioengineering and Therapeutic Sciences (BTS) and associate dean of research, recently senior-authored a paper describing the creation of a new computer program that predicts the location of difficult-to-detect drug binding sites on protein molecules. Its use doubles the percentage of disease-associated proteins that might be targeted by drugs. Rada Savic, PhD, also BTS, lead-authored a study that used computer modeling to optimize pediatric dosing of drugs for tuberculous meningitis, an illness that is particularly devastating in young children. Image credits: Kaz Tsuruta for Phillips, Eric Davila for Shin, Elisabeth Fall for School of Pharmacy researchers and Altschuler and Wu, © Majed for Sali. For the 36th consecutive year, our researchers received more combined funding from the National Institutes of Health (NIH) than any other pharmacy school in the U.S. This latest NIH ranking was for the 2015 federal year (October 1, 2014 to September 30, 2015). Read the story linked below for details of our five largest new grants during that time frame as well as the top five ongoing grants. Our latest research funding is just as impressive. Last month Tanja Kortemme, PhD, Department of Bioengineering and Therapeutic Sciences, received a three-year $943,000 grant from the National Science Foundation. The funds will further her lab’s use of computer programs to improve the design and production of protein molecules engineered to have new and more complex functions—including detecting and responding to molecular signals within and between cells. This work can greatly advance our understanding of the molecular biology underlying health and disease by probing protein interactions in living cells in real time—remarkable. While Tanja is probing fundamental biology, Marilyn Stebbins, PharmD, and Jennifer Cocohoba, PharmD, Department of Clinical Pharmacy, are investigating the factors that can interfere with patients accessing and adhering to specialty drugs. These drugs can be lifesaving for serious and complex conditions such as cancer, hepatitis C, rheumatoid arthritis, multiple sclerosis, and HIV. But they are expensive, and thus can generate higher out-of-pocket costs as well as prior authorization hurdles, in addition to potentially requiring disease testing, specialized pharmacy expertise, and patient counseling. In March, Marilyn and Jen entered into a $646,000 research contract with Walgreen Co. to broadly determine the obstacles to specialty drug use faced by patients and providers. The newly named Quantitative Biosciences Institute (QBI), announced in February, will focus computation, mathematics, and statistics toward a deeper understanding of complex problems in biology, all aimed at developing new and precise treatments for disease. QBI is an official UC organized research unit (ORU), meaning it can compete for large collaborative grants from the National Institutes of Health. 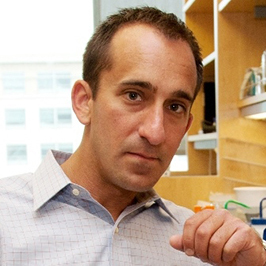 Founding director Nevan Krogan, PhD, Department of Cellular and Molecular Pharmacology, reports to me in his QBI role. Many of our School scientists will be closely affiliated with QBI. More as plans unfold. While we excel at generating fascinating ideas with the potential to improve health in creative ways, ideas are usually not competitive for large grants unless initial research results show promise. That’s the purpose of the Mary Anne Koda-Kimble Seed Awards for Innovation—to fund new directions in science, education, and patient care. Five projects—ranging from health coaching of underserved hospital patients to immune profiling for rheumatoid arthritis—recently shared $50,000 in 2016 Seed Award funding. Image credits: Eric Davila for Stebbins, Elisabeth Fall for Kortemme and Cocohoba, Susan Merrell for Krogan. I’m proud to highlight Esteban Burchard, MD, MPH, a physician-scientist in our Department of Bioengineering and Therapeutic Sciences. Esteban took a deep dive into 30 years of raw data on U.S. government funding of research by non-white scientists as well as two decades of analyses of the inclusion of racial and ethnic minorities as subjects in clinical studies. The results? Despite a 1993 Congressional mandate prioritizing the inclusion of women and minorities in federally funded clinical research, little has changed in nearly a quarter-century. For example, fewer than 2 percent of the 10,000-plus federally funded cancer clinical trials since then have included enough minorities to be relevant. In addition, as Esteban and his co-authors reported in their PLOS Medicine article in December, minority scientists are consistently less likely to receive NIH funding. How significant can the differences in ethnic disease risk and treatment response be? Just this month, Esteban’s lab published a study in Immunogenetics finding that about 95 percent of known genetic risk factors for asthma may not apply to African American children, while also identifying new ones that do. As we move toward a day when patients are diagnosed and treated precisely, this means a day when clinical study populations represent the diversity of our population, a day when the scientists conducting these studies rightly represent the rich makeup of the nation as a whole, and a day when everyone has access to good health care. Thanks to Esteban and fellow investigators for the evidence needed to fuel change. The 26th Annual Black Heritage Month Gala at the Marines’ Memorial Club this February was a great success during a month observing the important people and events in the history of the African diaspora. Sponsored by the UCSF Black Caucus, it’s an event I look forward to supporting because it brings into sharp focus the amazing cadre of accomplished African Americans in the UCSF family. Although campus diversity has steadily improved in recent years, progress is far too slow. This School, which leads along so many frontiers, must lead on the diversity frontier as well. This effort includes diversity of all kinds, including diversity of ideas that are shared within a culture of respect. One way we’re encouraging inclusiveness is through the Interprofessional Health Post-Baccalaureate Certificate Program. This program is designed for those who have completed the required undergraduate coursework for pharmacy school but need to strengthen their academics. The first post-bacc student to graduate from our PharmD program is Julia Mwangi, PharmD, a Class of 2016 alumna. We recently held a dinner to celebrate her success. Joining us were current student pharmacists who also completed the post-bacc program and our education administrative leaders. Left: Julia Mwangi (Class of 2016) is the School of Pharmacy’s first PharmD graduate to be accepted to the School after completing the Interprofessional Health Post-Baccalaureate Certificate Program. Right: School administrators and current PharmD students, who also came to the School through the program, join Julia in April 2016 to celebrate her accomplishments. Image credits: © Majed for Burchard, Cindy Chew for Mwangi. Changes in pharmacy practice and education and the push-pull relationship between both was the focus of a spirited panel discussion among UCSF PharmD and PhD alumni during Alumni Weekend 2016. 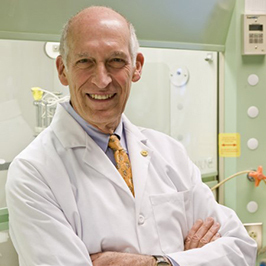 I’m pleased to share that alumnus Michael Marletta, PhD (Pharmaceutical Chemistry, 1978) is a newly elected member of the American Philosophical Society (APS), a learned society established more than 250 years ago whose founding members include George Washington and Benjamin Franklin. 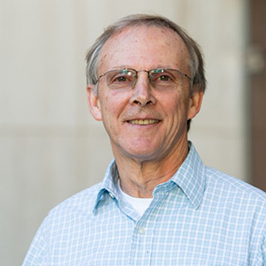 Election to the APS shines a light once again on Michael’s contributions to the field of chemical biology, which he pursues at the University of California, Berkeley as the CH and Annie Li Chair in the Molecular Biology of Diseases. While, during Alumni Weekend, our alumni were reminiscing about their adventures in pharmacy school, a current student and a pharmacy resident shared with me a glimpse of their international work. I would like to pursue research, locally or internationally... My ideal job would be to practice as a clinical pharmacist and to teach and conduct research in an academic setting. This experience furthered my passion for global health... I see that there is a growing need for oncology pharmacists worldwide. I have made lasting connections at UNAM, and I hope to be able to return to Namibia to continue to help them grow their oncology pharmacy practice. Nona and Kathryn are amazing, fearless young women who know no bounds. They represent the School at its best. Shannon LeJeune joined the Office of University Development and Alumni Relations in March as the new senior director of development for the School of Pharmacy and the Graduate Division; she’ll work to grow philanthropic support for both. The School’s Leadership Group and I will work closely with Shannon as we press forward in securing the private support important to meeting our 2015–2020 strategic plan objectives. 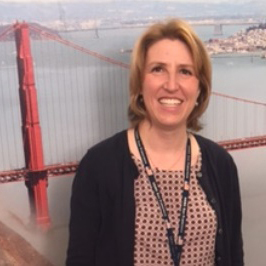 Shannon comes to UCSF most recently from the University of Arizona, Tucson, where she served as senior director of development for the College of Pharmacy. The campus continues to move forward unceasingly. A terrific example is UCSF’s sharp rise as a leader in the sciences involving brain and nervous system diseases. In November, the campus announced a $20 million gift from the Ray and Dagmar Dolby Family Fund to support research in mood disorders: depression, bipolar disorder, and related illnesses. Three months later, in February, there was another announcement: receipt of an unrestricted $25 million commitment from the Bill and Susan Oberndorf Foundation to advance basic research in psychiatry and the behavioral sciences. Then, in late April, the campus announced the UCSF Weill Institute for Neuroscience, established by a $185 million gift from the Weill Family Foundation and Joan and Sanford I. “Sandy” Weill. This is terrific news for neuroscience worldwide, for patients, and for UCSF scientists working on these problems. This includes the School of Pharmacy, where members of our faculty are fully engaged in research on autism, Alzheimer’s disease, Parkinson’s disease, and other neurological diseases with the goal of developing precise, effective, safe treatments. Two members of our faculty, Kathy Giacomini, PhD, and Esteban Burchard, MD, MPH, along with fellow campus leaders, attended the White House Precision Medicine Summit in February. Both Kathy and Esteban are experts in genetic variations and their effects on drug response, and both are in the Department of Bioengineering and Therapeutic Sciences. At the summit, UC Health committed to “enabling patients to access and share their own health data,” as an important step toward precise health care. Also in February, United States Vice President Joe Biden and his wife Jill Biden visited our Mission Bay campus where the vice president led a roundtable discussion with UCSF cancer experts as part of the National Cancer Moonshot Initiative, which aims to develop new approaches that speed the development of novel cancer therapies. The Bidens visited the lab of Zev Gartner, PhD, Department of Pharmaceutical Chemistry, and viewed a printer Zev is using to build 3D human tissues for basic research, regenerative medicine, and the study of cancer. Last, but very important, is the Cool Campus Challenge, a competition and campaign among UC campuses to engage our communities about sustainability with the goal of helping the University system achieve carbon neutrality by 2025. The challenge took place from October 2015 to December 2015. Led by Finance Manager Jeff Beck, Department of Clinical Pharmacy, the School of Pharmacy scored first place in the UCSF-based part of the challenge. I remain committed to reaching the 2025 goal. As in all such endeavors, action is everything.